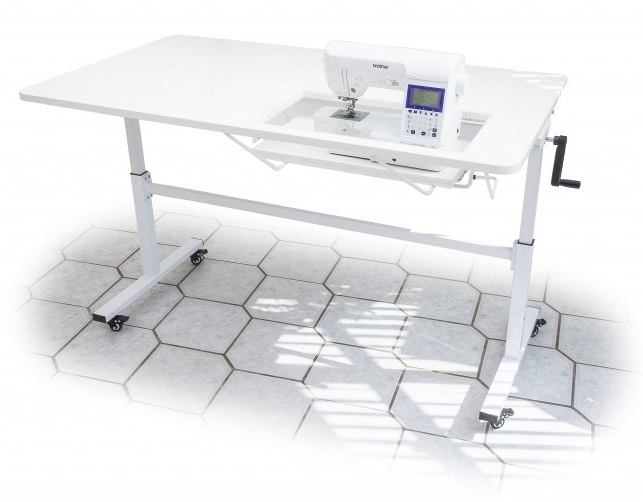 The Horn Sewers Vision is a manually adjustable height adjustable quilting and hobby table with the convenience of a large working area, which folds down 90 degrees when not in use. 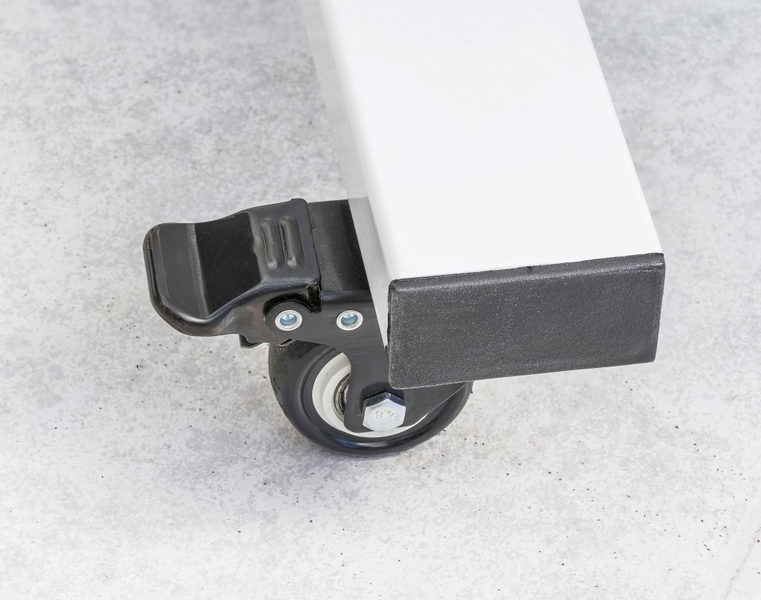 The four locking castors will mean that the table will not move once in place and is easy to move when needed. 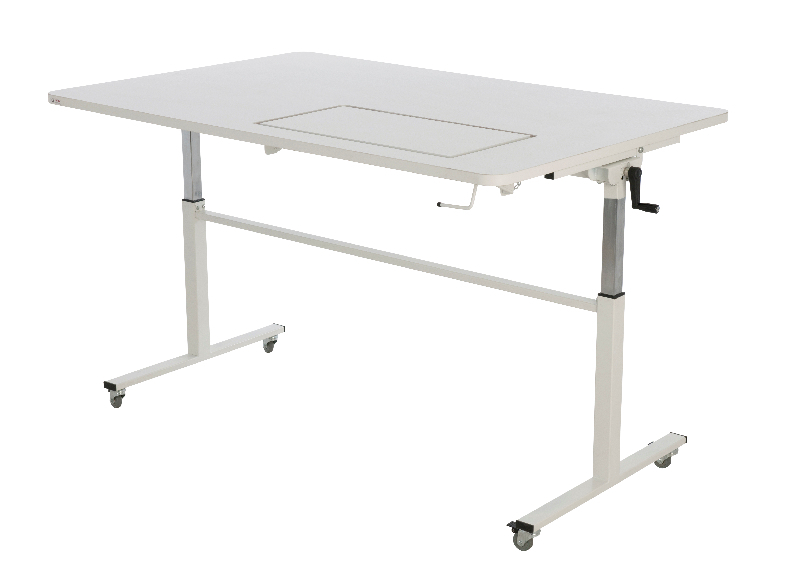 The table top has a high quality white finish. 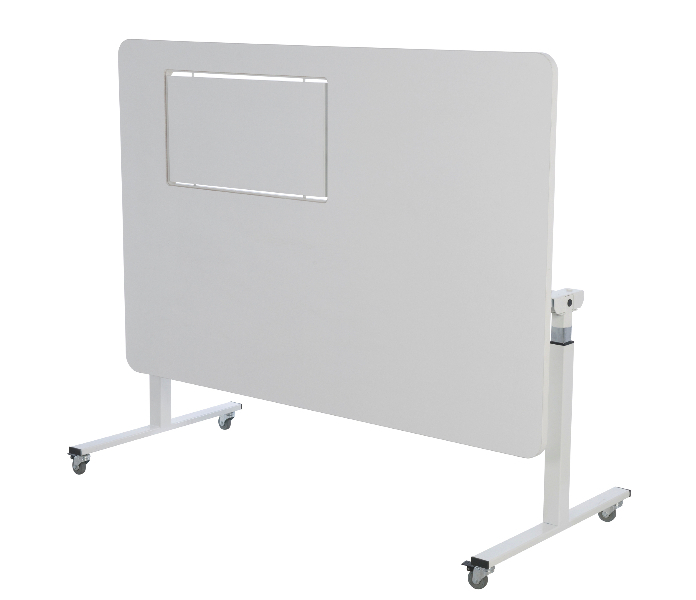 Dimensions: 1530mm W x 1020mm D x 690mm H, and a maximum height of 965mm. 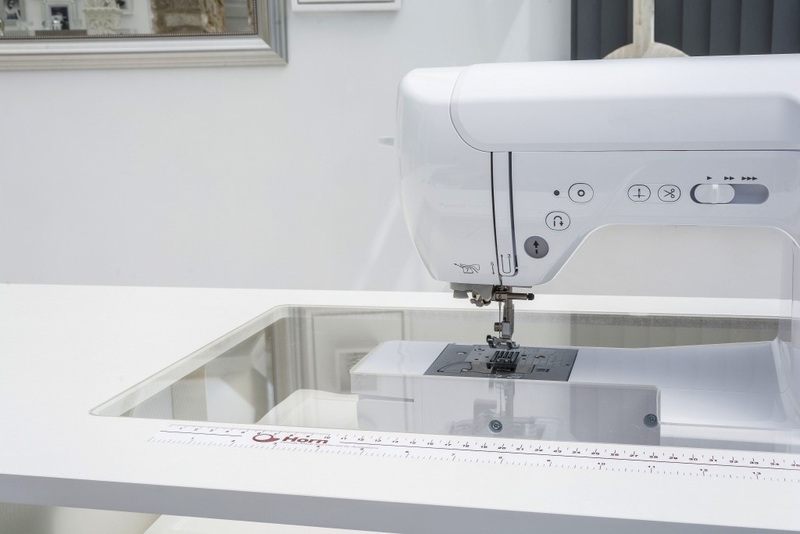 Please Note: The Sewing Machine and Accessories are NOT Included with the table..
Only available in white finish. Tough, knock resistant ABS edging surrounds the top of the table- for increased durability. 1” thick table top for extra strength. Easily height adjustable by simply turning a crank handle. Can be raised to work on above other furniture in the room. A large height adjustment range to suit virtually any user. Can be lowered to sit at or raised to stand and work at. Clever platform for the sewing machine to rest on; can either be dropped for flatbed use or raised for free-arm or embroidery arm use. Maxi aperture; giving it the ability to fit even the largest sewing machines on the market. Easily mobile on 4 large lockable wheels. Answer 1 : Thank you for your enquiry, unfortunately because the item comes directly from Horn, they only deliver to the U.K Mainland.